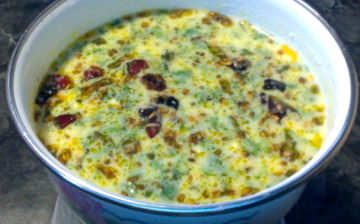 Green tomato raita is very soothing to stomach. 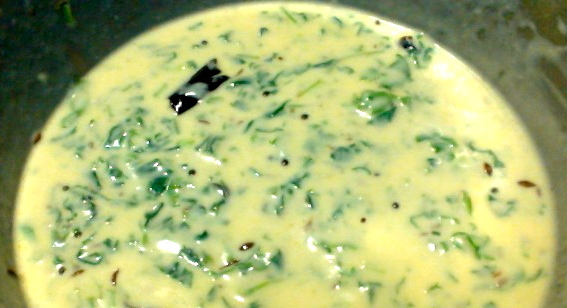 Goes well with rice, kichidi or pongal. Whisk the yogurt into creamy consistency. Place a small sauce pan on medium heat with some oil or ghee. 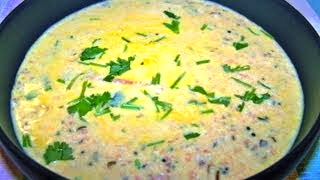 when the oil is hot add fenugreek seeds followed by mustard and cumin seeds. Keep stirring and add red chilli flakes, hing, turmeric powder and curry leaves. Add this to yogurt. In the same pan take a little oil or ghee again and heat it up. Add cut green tomatoes to it and stir it. Add salt and mix it well. Cover and let the tomatoes cook until soft. Switch off the flame and let the tomatoes cool down. When they are completely cold add them to yogurt. Add cilantro also and mix them very well. Add salt if needed. 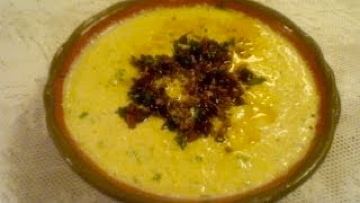 This green tomato raita goes very well with rice or chapati.